Here are some tips on how you can switch off your inner critic. Positive self-talk. Every morning and evening look yourself in the eye in the mirror and tell yourself how wonderful you are. Say it with conviction, otherwise you won’t believe it. Positive affirmations. Have a variety of short punchy powerful statements about yourself beginning with ‘I am…’. These are called affirmations. They build confidence and self-respect and fire up happy chemicals in the brain. Seek feedback. Ask someone you love or respect to tell you what you do well. Take the positives and think about them. Use a coach. Have a work or life coach to work on building your confidence. The stronger your confidence, the quieter your Inner Critic’s voice will become. Mirror others. Identify the qualities you admire in others. It’s likely that you have them yourself – they might be buried under negative thinking. Keep a diary. Each day record three things that you have done well that day. Review it regularly and allow the positive feelings to envelop you. Practice positive behaviours. 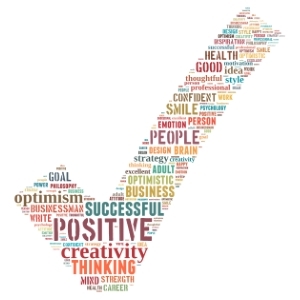 Ideas include smiling at people, mixing with positive people, celebrating success and achievements. Study mindfulness. Practice daily. This will train you to reduce the chatter by moving the mind away from the past or the future, to the here and now. Share your thoughts. Share with a trusted friend, colleague or family member. Ask them to be honest and ask for advice. Clear those negative thoughts. Take a deep breath and at the same time imagine wrapping your thoughts up in a piece of paper. As you breathe out, throw the paper in the bin. Learn more about dealing with an inner critic in my best-selling book, ‘How to Prevent Burnout’.